Cutting carbs can help you shed pounds. If your goal is shedding pounds, low-carb diets are often effective. Low-carb diets focus on the number of grams of carbs you eat daily -- not total calorie intake -- but usually result in eating fewer calories. Cutting carbs and increasing protein naturally makes you eat less because protein increases satiety, according to a 2009 review published in “The Journal of Nutrition.” In fact, a study published in 2012 in “Physiology and Behavior” found that the higher-protein component of low-carb diets is actually what peels away pounds. According to Harvard School of Public Health, reducing your calories is necessary to shed pounds, regardless of how much protein, carbohydrates and fat you eat. 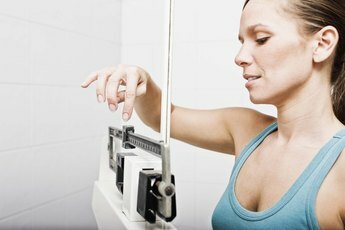 For effective weight loss in women, 1,000- to 1,600-calorie diets should do the trick -- the National Heart, Lung and Blood Institute suggests 1,200- to 1,600-calorie diets for women who weigh more than 164 pounds and regular exercisers, and 1,000 to 1,200 calories a day for inactive women weighing less than 165 pounds. 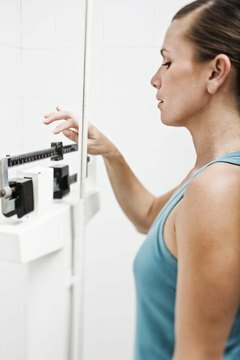 The University of Washington recommends obese gals eat 10 calories per pound of their desirable body weight -- for example, 1,400 calories daily if their goal weight is 140 pounds. Not all low-carb dieters want to shed pounds. If weight maintenance is your goal, consume 13 calories per pound of your body weight if you’re sedentary, 16 calories per pound if you’re moderately active and 18 calories for each pound of your body weight if you hit the gym regularly, suggests Harvard Medical School. 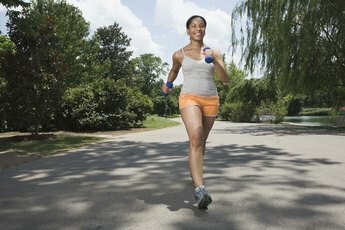 Regular workouts can help you maintain a healthy weight, burn fat and keep lost weight off long term. Physiology and Behavior: Relatively High-Protein or 'Low-Carb' Energy-Restricted Diets for Body Weight Loss and Body Weight Maintenance? 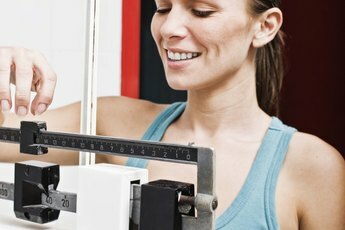 What Is a Nutritious Way to Lose Weight Fast?